Mark Haze is coming to ReedValley this Easter weekend! Join him as he pays tribute to one of the music world’s greatest hit-makers and one of his childhood heroes. 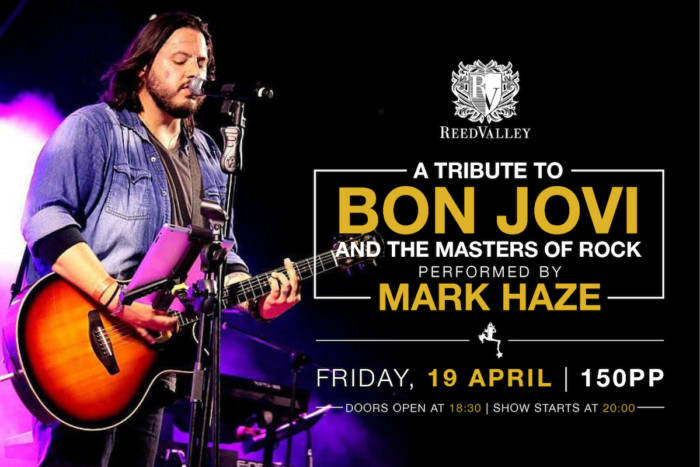 In the second act, Mark and his band pay tribute to the classic rock era and the songs that shaped the world of Rock ‘n’ Roll for decades to come. From The Beatles, Pink Floyd, Queen, Guns N’ Roses, Journey and many, many more! Tickets for the show are available online at R150 per person. Doors will open at 18:30 with the show set to start at 20:00. Our food stalls and bar will be open before the show so come and enjoy dinner with us!